Visitors to Philadelphia seem to head for the big attractions – the Liberty Bell, the Rocky steps, and the corner where the cheesesteak was invented. But our Storyteller TravelingMom shares the Philly Secrets, those little-known spots you may overlook, but shouldn’t. Read on to find out how to supplement Philadelphia’s “big draws” in surprising and fun ways. I’m a Philly native, and proud of my hometown. In fact, I love it so much I even wrote a book about it. So when I learned my in-laws were visiting from Massachusetts, I looked forward to showing off the city, its history, its pop culture, its nature and its food. But my in-laws came with an agenda in mind. 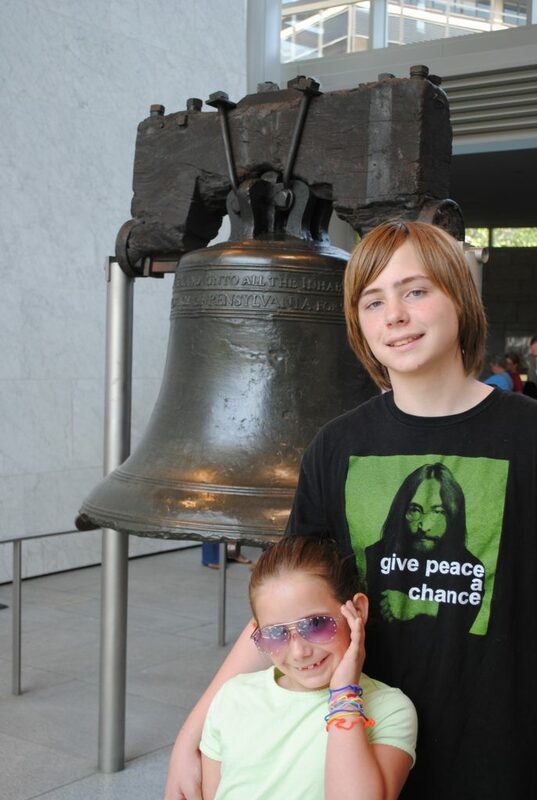 “We want to see the Liberty Bell,” they told me. Okay, no surprise there. “We want to see the steps Rocky ran up,” they added. Well, those steps are the Art Museum steps, and behind them is a wonderful building full of….well, art. But okay, I get it. “And we want to eat cheesesteaks,” they said. I nodded, resigned. 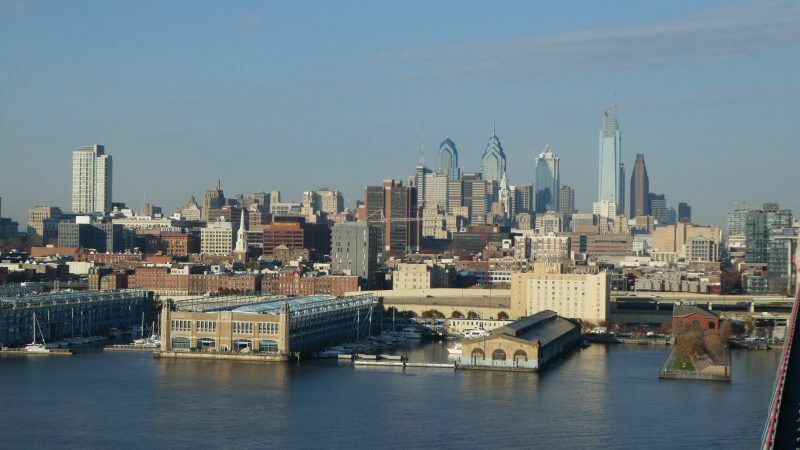 If you’re a visitor to Philly, you may think the same way – that we’re all about these major attractions. And we are. But the city has some secret gems that are great compliments to the more famous sites. I shared some with my in-laws, who were surprised and fascinated with what Philadelphia has to offer. So, the next time you’re in my city, check out the “big draws.” By all means! 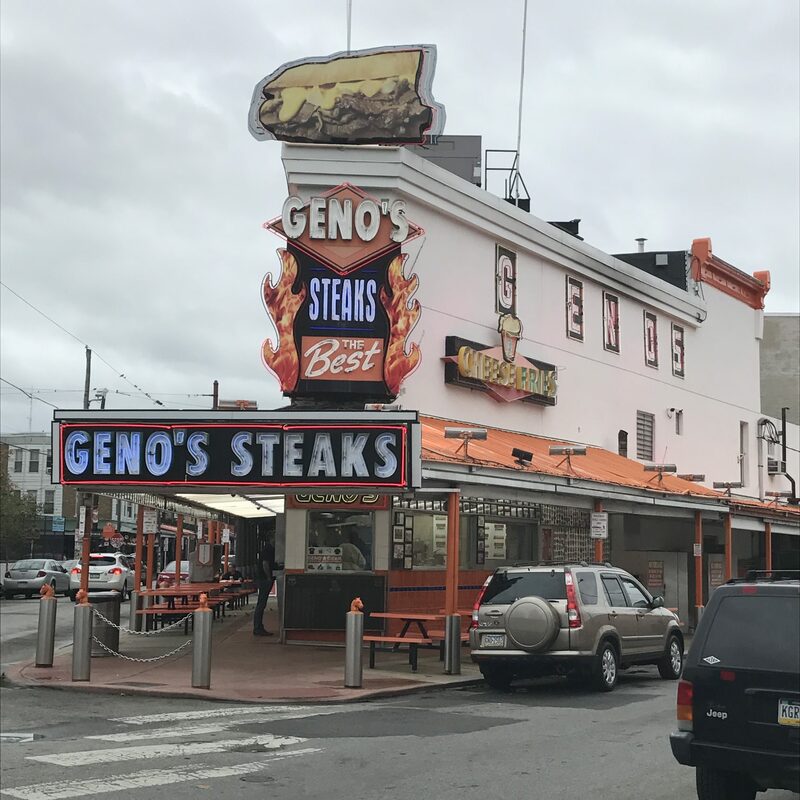 But then save some time for secret Philadelphia, those little gems which will enhance your visit….whether you’re a history buff, a Rocky fan, or a lover of all things cheesy! Right on Independence Mall, the Liberty Bell is probably the most iconic attraction in Philadelphia. It is one of the most recognizable symbols of freedom in our country. The Bell itself can be seen at Liberty Bell Center, where you’ll also find exhibits and a History Channel video detailing the history of this cherished icon. Within walking distance of the Liberty Bell Center, you can find the Second Bank of the United States. Authorized by President James Madison in 1812, the Second Bank of the United States was originally established to respond to the debt we incurred during the War of 1812. The building is modeled after the Greek Parthenon and is now home to an extraordinary collection of eighteenth century portraits by Charles Willson Peale and other artists. 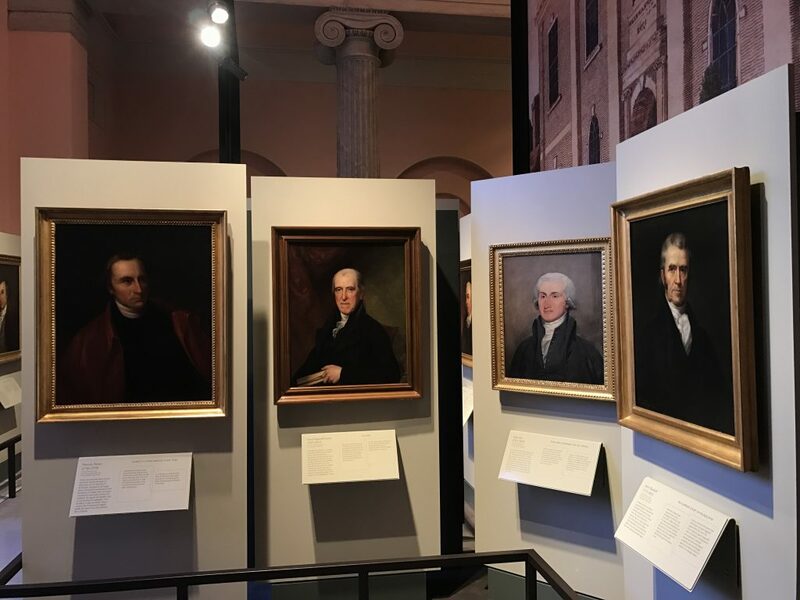 The gallery features portraits of many of the signers of the Declaration of Independence. So make a scavenger hunt of it and try to find Patrick Henry, the Marquis de Lafayette, and Alexander Hamilton. Yes, the Philadelphia Museum of Art is one of the country’s top art museums. It’s the home of an impressive collection of pieces, including works by Cezanne, Rogier van der Weydon and Thomas Eakins. But despite the breathtaking artwork within, most visitors consider the Museum “must see” because of the steps. You know the ones. Sylvester Stallone ran up these steps as the character Rocky Balboa in the original Rocky and the rest was, well, history. 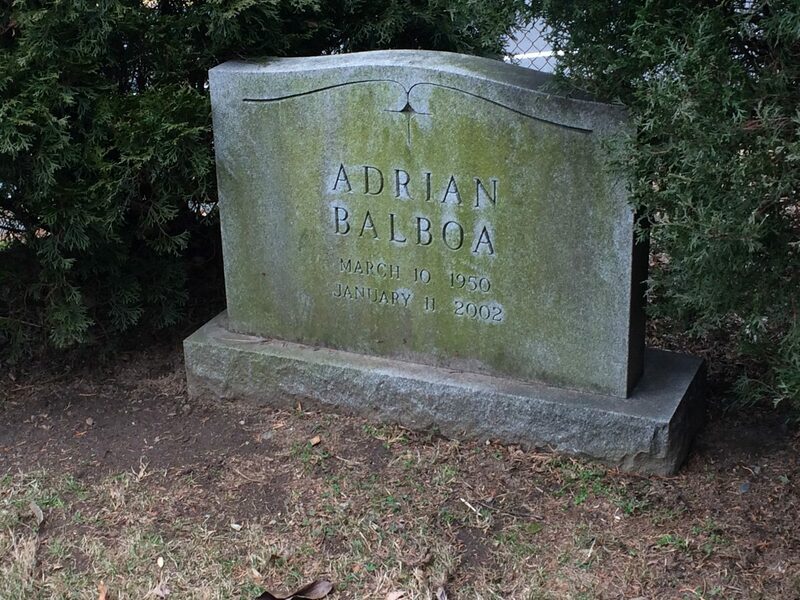 But if you’re a Rocky fan, there’s plenty to see in Philadelphia beyond the Art Museum steps. Once you run up the steps (because you will be running up them, right? ), stop by the statue of Rocky Balboa at the bottom of the stairs. Created for Rocky III , it’s a favorite place for visitors to snap a picture next to the champ. Want more? 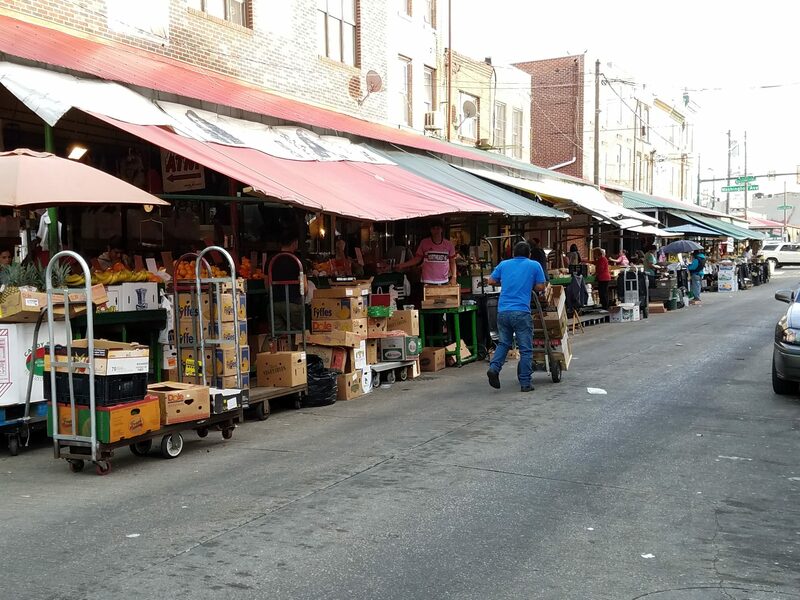 Head to the Italian Market, an outdoor market on Ninth Street featured in many of the films in the franchise. The Italian Stallone jogged by the shops of the Italian Market as part of his training and famously practiced his punch on a side of beef at a butcher shop here. No matter where I travel, I can always find Philly cheesesteaks – or at least an item being called a “Philly cheesesteak” – on the menu. And the truth is, you can find good Philly cheesesteaks all over the city, and the suburbs, and even in South Jersey. 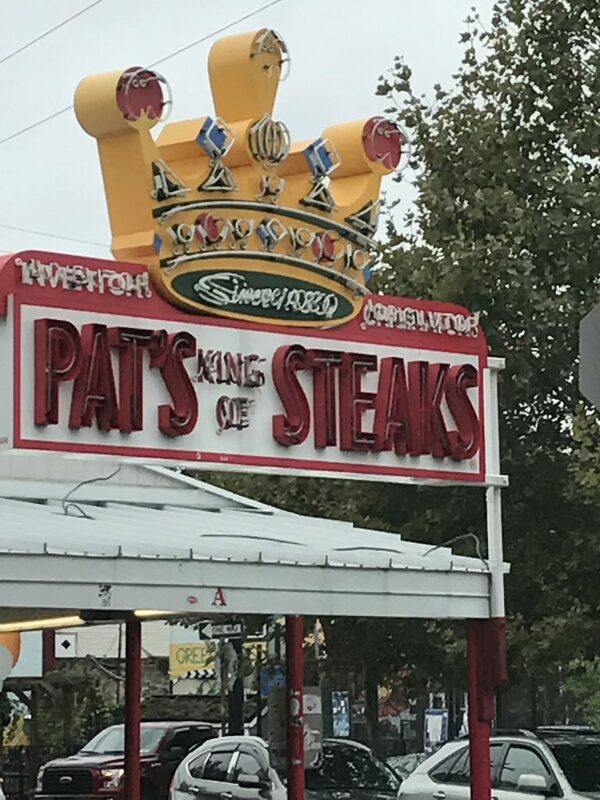 But if you want to go the the source, the place where it all began, you’ll have to head to the corner of Ninth Street and Passyunk Avenue, where Pat’s King of Steaks and Geno’s Steaks compete for the “best of” crown right across the street from each other. Pat’s was the original, opened in the 30s. Geno’s set up shop in 1966. Whoever said this city isn’t big enough for two all-night cheesesteak joints just doesn’t know Philly. So why would someone go to Philly and order pizza? Well, Pizza Brain is more than just a “slice and a soda” joint. In fact, it’s a “cultural experience” – if your culture comes with a side of Ninja Turtles and a couple of Domino Noids. Pizza Brain holds the distinction of being the world’s first pizza museum and the curator of the largest collection of pizza memorabilia. 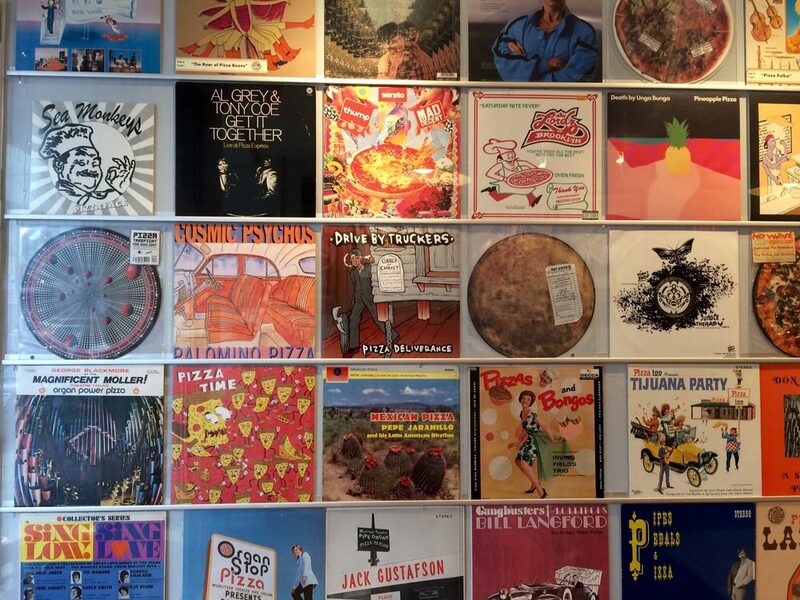 (Check out the wall for its Guinness Book of World Records certificate.) Of course, calling it a “museum” is a bit of a stretch, but hey, it’s a lot of kitschy fun, and the menu has a variety of thin-crust choices. Hey, man cannot live on cheesesteaks alone, right?